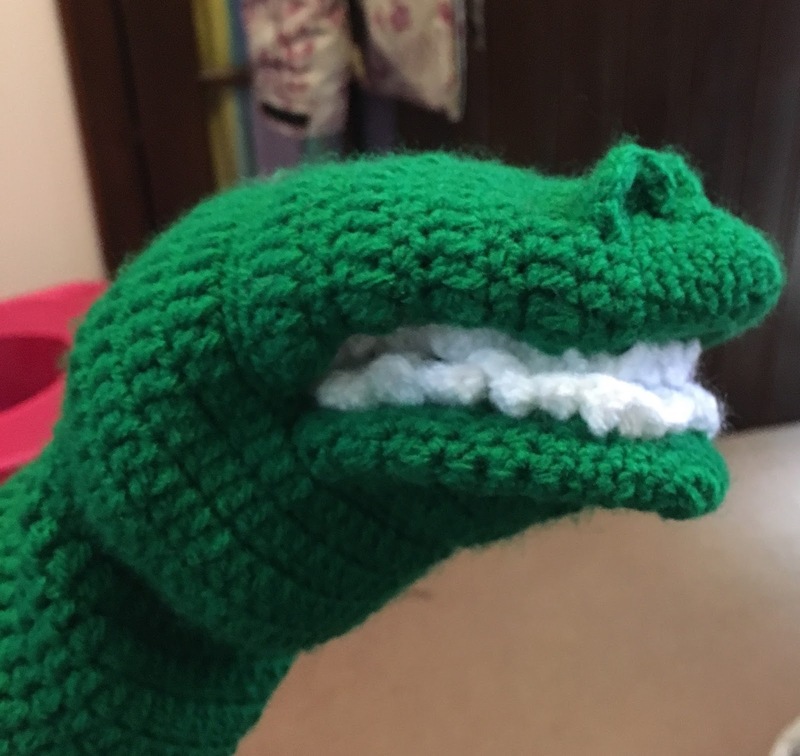 My friend is a teacher and was after a Crocodile Hand Puppet to go with some finger puppet monkeys she was making to help teach the children maths and also fun too. These are made up of joining a piece of yarn and slst to secure into place. Then repeating the following... *sc, hdc, dc, slst*. These can be done in a straight line (ideal for the spikes) or can be curved which is ideal to shape the nostrils and follow the curve of the jaw for the teeth. 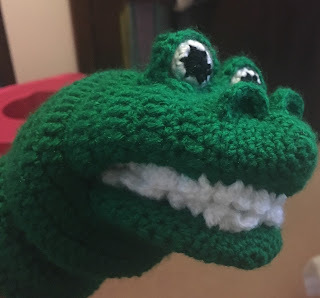 FO Hiding yarn tails behind eye and a bit of soft toy stuffing to bulk out. FO Leaving long yarn tail. Shape and sew eyelids to the eyes to secure them in place and then sew to body. The eye lids will cover the open back of the eyes. This is so cute!!! Thank you for sharing your pattern with us!! Handyman in Toronto Canada Thank you for your article.Much thanks again. Want more.